Introduction to the foundations and principles of natural health care. Theories presented on acupuncture, hypnosis, meridian systems, acupressure, and energy healing. Organ systems of the body and recommendation of natural remedies and treatments to strengthen these systems. Introductory homeopathy, herbology, aromatherapy and acupressure. Basic anatomy, physiology and medical terminology. Introduction to basic client consultation procedures. The pathology, natural treatment and current modalities used for the following common ailments: anxiety, arthritis, constipation, depression, diarrhea, headaches, head colds, hemorrhoids, insomnia, menopause, and PMS. Pathology, natural treatments and current modalities used with more complex health conditions: Aging, alcohol withdrawal, allergies, athletes foot, bruises, burns, yeast infections, cystitis, varicose veins, and bad breath. Intermediate homeopathy, botanicals, aromatherapy, healing touch and acupressure. Pathology, natural treatments and current modalities used for clients with chronic disease conditions: hypoglycemia, indigestion, low immune systems, low thyroid, menopause, neuralgia, warts, ringing in the ears, prostate disorders, kidney disorders, liver disorders, and heart disorders. 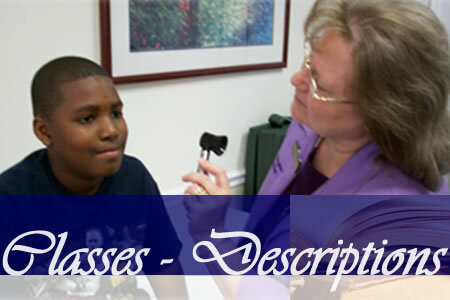 Visual observation, palpation techniques (of abdomen), skin evaluation, tongue observation, iridology, kinesiology, pulse study, pH testing of urine and saliva. Advanced homeopathic care, botanical care, aromatherapeutic care and detoxification procedures. Blood pressure taking, the consultation/exam procedure, and case taking (client history). Participants will work with client volunteers to refine skills doing client consultation including interview, iridology, hara, pulse, face analysis, tongue analysis, remedy testing and recommendations, and necessary lab tests. Participant will have hands-on experience working with client volunteers while supervised by a naturopathologist. This level includes nail analysis. Each participant will be able to practice using aromatherapy with acupressure for physical issues, relieving stress and emotional healing. Client volunteers will work with participants while supervised by a naturopathologist. Fundamentals of homeopathy, history, and dilutions. Dilutions used to treat a variety of health care problems. Basic herbology in a systems approach. The study of the fundamental principles involved in the use of herbs to promote health. Each participant will receive a comprehensive review of herbal products usually recommended by Naturopathologists. Pros and cons of product inventory, web purchases, vitamin stores, etc. See Anatomy and Physiology in the Holistic Health care section. Maryland Approved Clinical site: Washington Institute of Natural Medicine at the Relaxing Alternatives Wellness Center, Gaithersburg, MD; Knowles Apothecary Wellness Center, Kensington, MD; and The Acupuncture and Chinese Medicine Clinic, Bethesda, MD – (301) 538-9540. Completion of Core Curriculum: Upon completion of the curriculum, the student is eligible to receive a Doctor of Naturopathy Degree from the First National University.